Home Corporate Blog All Posts How Many Leads Can My Agents Handle? How Many Leads Can My Agents Handle? 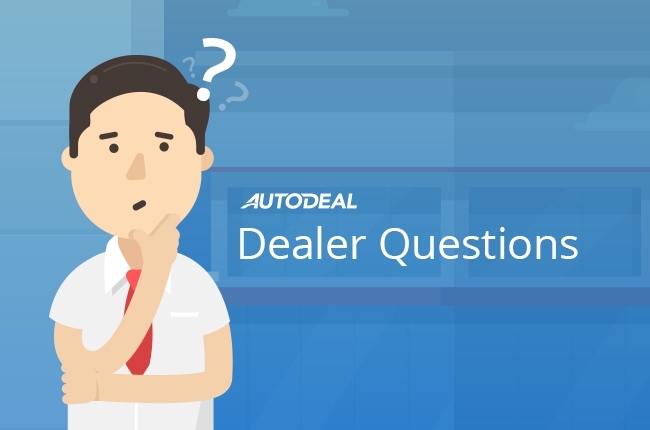 Here at AutoDeal, we get a lot of questions from dealers regarding how they can become more efficient in generating increased sales conversion from their online opportunities. 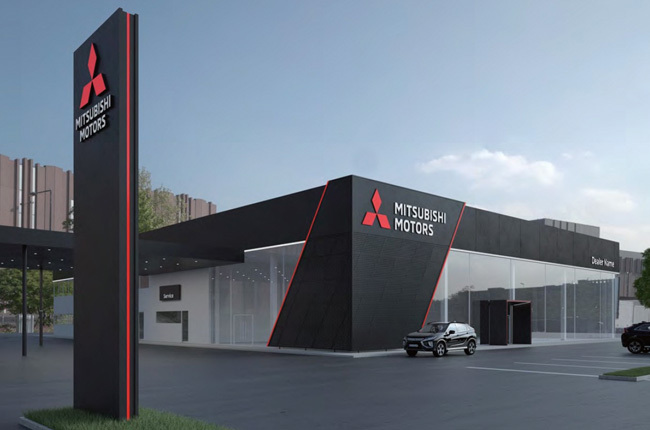 It’s not unusual, given the vast amount of customer inquiries that get generated for dealers to be somewhat perplexed by their sales volume and conversion rates when comparing themselves to industry standards. For this, we dug into our sales data to pin-point information based on transactions that occur across the AutoDeal platform to find out if there really is a sweet number when it comes to promoting maximum engagement among sales agents. 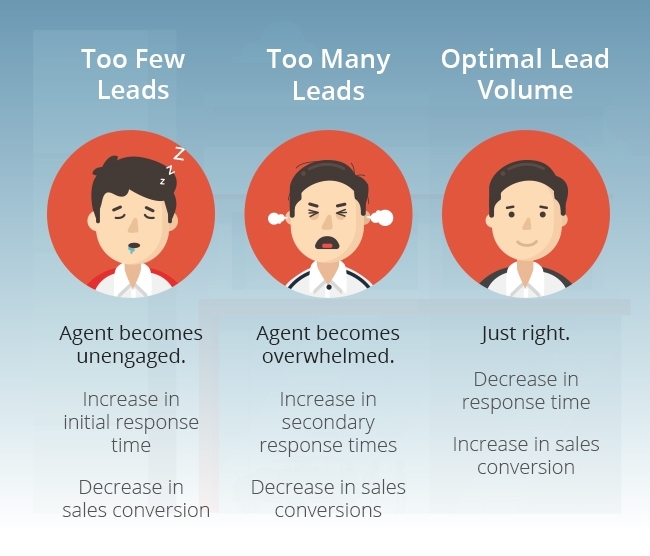 As a hypothesis we predicted that the problem with lead volume vs. conversion was two fold; give an agent too few a leads and they become unengaged and allow their response times to grow too long. On the other hand, give an agent too many leads and they become overwhelmed and are unable (in most cases) to give the quality of service and attention that is required to successfully nurture a prospect. So, what’s the trend? What’s the magic number? If we look at overall sales volume it’s difficult to tell. Agents who are getting more than 50 leads a month are generally outputting the higher level of sales volumes, but in terms of conversion rate, have a much lower output. We found that among the top agents on AutoDeal who are achieving conversion rates of 5% or more, they handled on average 35 leads per month (34.72 on average, to be exact). While these agents do not have the highest grossing sales volumes, they have proven to be the most efficient in terms of lead to sales conversion. First off, dealers need to be realistic in terms of what they want to achieve. Since profits are made on the sale of every vehicle, dealers need to balance their margins with their cost-of-sales based on how many sales agents they have handling their inquiries. This has led to two major schools of thought: The Internet Specialist vs. The Hybrid Agent. In general, the Internet Specialist is hired specifically by a dealer to handle online inquiries only. The advantage of this is a very specific focus to online sales. The downside is, that in most cases dealers select a limited number of agents to handle a very high volume of leads. 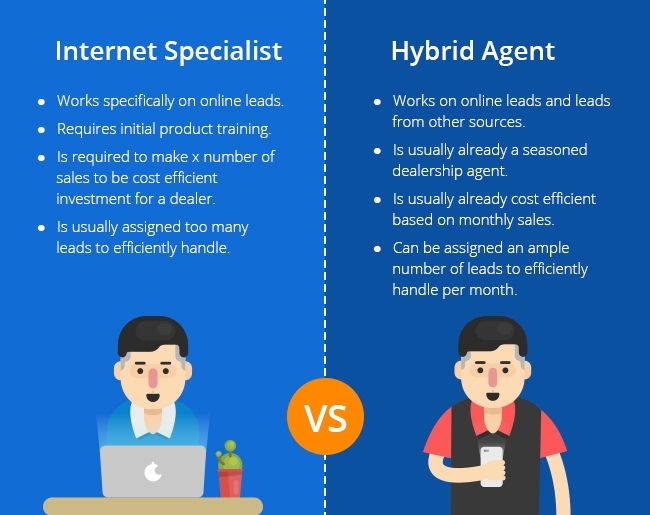 The Hybrid Agent on the other hand is an agent who works leads from other sources (showroom, phones etc.) but also handles online inquiries via the AutoDeal For Agents App. 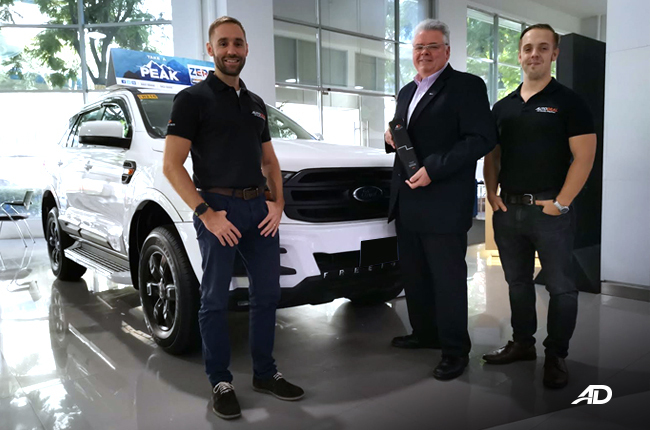 As a result these agents can close more sales from multiple sources, making their employment more cost efficient for a dealership. Therefore right now, the Hybrid Agent solution seems to be yielding the best results both in terms of conversion rate and dealer cost efficiencies. Trouble arises however when dealerships do not expand their sales force to accommodate lead spike periods. This is because, (in general) the dealership ends up getting overall better volume results but are unaware of their decreased conversion rate. 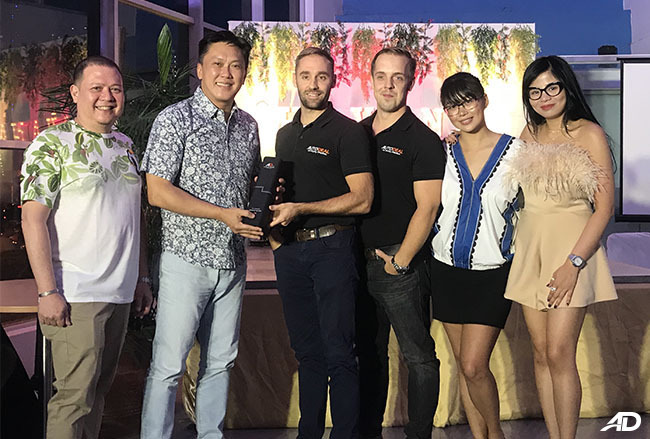 With the Internet specialist route, increasing manpower to accommodate an additional 2 sales a month is not cost-efficient whereas expanding opportunities to an additional existing agent is. The argument that then arises is that since Internet Specialists have one central focus, then they should be able to convert a higher volume of leads, since they’re not encumbered with other sales tasks. However, in general, we have yet to see this materialize among the majority of dealers that we partner with. The main question now concerns risk. As a rule of thumb, agent conversion rates typically grow over time and it usually takes a few months of orientation to bring a new agent up to an acceptable level of conversion. If dealers wish to pursue the Internet Specialist route for the means of increasing overall sales volumes and conversion then they would need to be willing to front a substantial initial investment in human capital. One other factor to look at is that in most cases internet specialists do not maintain a physical presence in a showroom, therefore the ability to efficiently track customers who ‘walk-in’ after making first contact with them could lead to a lower perceived conversion rate. Since tracking is often half the problem when establishing ROI, dealer owners may be reluctant to continue investing in the strategy. With more dealers getting into digital than ever before, it’s going to be interesting to see which approaches yield the best results in the short and long run.